Putuo District director Zhou Minhao told the fourth session of the 16th Putuo District People’s Congress that plans are in place to foster greater regional economic and social development with its own characteristics this year. Zhou looked at the development blueprint for the upcoming year and pointed out that Putuo has eyes on fast growth, steady investment and an optimized structure to empower its quality development. One key task is to serve Shanghai’s ambition to develop into a scientific innovation center. 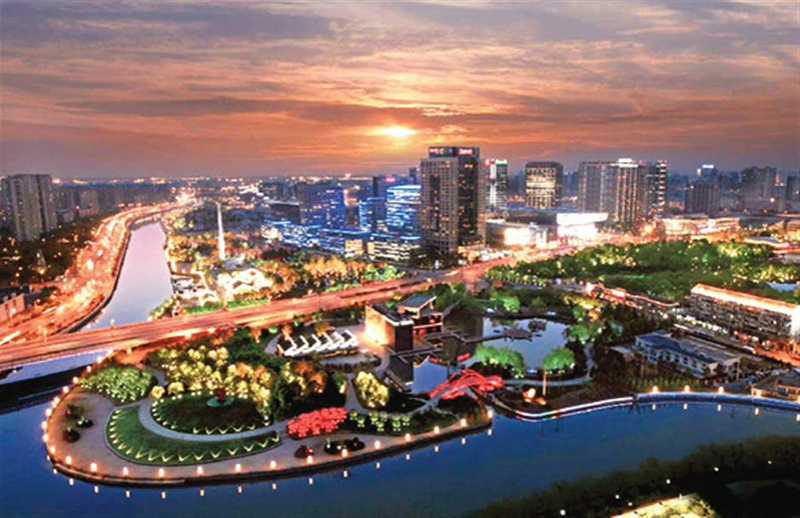 The China-Israel (Shanghai) Innovation Harbor will be unveiled by the end of the year. It will promote cooperation with high-tech firms, universities and research institutes between China and Israel. Innovative ideas will be incubated, researched, protected, evaluated, traded and commercialized, supported by the first phase of a billion-yuan innovation foundation. The Wuning Innovation Development Axis, along the Wuning Road thoroughfare, will be further developed, featuring high-tech industries, including robotics and industrial control safety. This will attract innovative and startup professionals to Putuo. New driving forces will be nurtured for Putuo’s development. The district has listed intelligent software, research and development services and scientific finance to contribute more heavily to the regional economy. Core parts of intelligent software and artificial intelligence will be manufactured in Putuo, while a number of leading research service providers will be attracted to the district. Key cultural events, such as the Internet Summit of the Shanghai International Film & TV Festival and the China Voice Conference, hosted by Putuo, will be further promoted this year, as will Changfeng urban resort, Changshou Bay and the Global Harbor Mall. The business environment will be optimized with Putuo characteristics and a new series of supportive policies, tax reduction and housing subsidies will be put in effect to attract investment and talent. Putuo will also actively take over the spillover effects of the China International Import Expo and China (Shanghai) Pilot Free Trade Zone, with a further opening-up attitude. Two multinational enterprise headquarters plan to make a base at Putuo while there will be closer cooperation with the Yangtze Delta Region. Further high-quality development and construction investment is planned for Taopu Smart City, Zhenru urban subcenter, Shanghai scientific finance industry cluster and the Changshou business district. The first series of projects, such as an international school, major greenbelts, an energy center and electronic sports venues will be completed. The quality and charm of Putuo will also be enhanced with a more delicate urban management. Construction has started on several key infrastructure projects, such as the Beiheng Passage, Metro Lines 14 and 15, the expansion on Wuning Road, a new Suzhou Creek tunnel and a major drainage system. The applications and services of the “City Brain” urban management system are to be expanded, along with other intelligent security and defense facilities. The urban environment will be further improved with continued water, air and soil treatment, as well as the promotion of garbage sorting and construction on ecologic space. A continuous pedestrian path along the Suzhou Creek is being developed for residents and tourists, while several cross-river bridges have been planned. The government plans to reduce polluted water to 9 percent this year from 15 percent in 2018 with a deepening “river chief” scheme. The flying dust on construction sites will be controlled within 4.3 tons per square kilometer per month from 4.5 on year. To improve residents’ livelihoods, Putuo also plans to finish renovation on 600,000 square meters of old buildings, while constructing more senior care beds, community service centers, specialized eateries and day care centers for the elderly. The Taopu International Health Industry Park will be developed to improve the medical services and health industry in Putuo. An increasing number of cultural events will be hosted to enrich residents’ daily lives. The “18 Bays of Suzhou Creek” will become a cultural brand, while a series of Suzhou Creek Studies will be built to encourage reading habits and wean the public off electronic devices. Furthermore, more cultural and sports facilities will be built and open to the public, especially for the Taopu and Zhenru areas.